So many learn English software options, so hard to choose. The best place to begin with evaluating a software is to decide what your learning objective is. Are you looking for ways to practice grammar? Do you want to expand your vocabulary? Do you need opportunities to practice listening? Are you looking for games to make learning more fun? Are you preparing for an online test and want timed exercises? Do you just want to learn some basic phrases? Are you trying to improve your pronunciation? Do you want a structured program to work through to help you stay motivated? 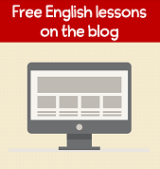 Depending on your objective, one learn English software may be better than another for you. One of the reasons many learners do not find software helpful is because they hope the CD or online subscription will magically help them learn English. Unfortunately, you still have to do the work to learn. If you're learning the English language, software options are numerous. In addition to the popular software options below, there are many new online software programs to consider. For now, I will outline the main features of Rosetta Stone, Tell Me More and Transparent Language. Rosetta Stone offers five different levels for English learning. The courses are available either on CD-ROM or you can download them from their website. The software is interactive and teaches students to speak, read, write and think in English. There is also the possibility (at additional cost) for online sessions with mother-tongue English speakers to help learners improve their conversation skills. Language-enhancing games are also provided for additional practice. What makes their approach on how to learn English unique? Rosetta Stones tries to create an immersion experience, where they introduce new words and concepts in a special sequence that helps learners arrive at correct answers naturally. As students learn new words and phrases, they are able to instinctively understand the next vocabulary that’s introduced. Rosetta Stone believes their product helps students to start thinking in English naturally by giving instant audio and visual feedback depending on whether the questions are answered correctly or incorrectly. Tell Me More English is based on a learning approach aimed to help learners use the language to communicate. It focuses on all of the language skills including speaking, listening, reading and writing. They also believe that knowing how to learn English requires students to develop their sociocultural skills and have activities for this. Each lesson begins with an activity that sets the context followed by a series of activities that help target different language functions and skills. The lessons also use speech recognition technology that helps learners develop their speaking skills. For example, they have dubbed a television series so the learner gets to speak the character’s lines aloud in English (similar to karaoke). 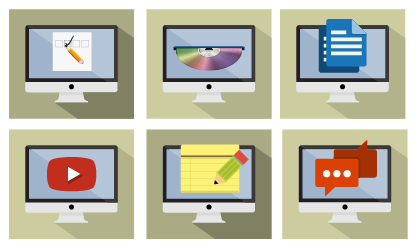 The software CD/DVD lessons include 37 different language ability types of activities so there is plenty of variety. There are 10 different levels of instruction, plus two business English levels, which take learners from beginner’s English to language proficiency. Learners can purchase a program of 2, 5, or 10 levels (or purchase all 10 levels plus the 2 business levels). Finally, Tell Me More also offers personalized, private English Tutor Sessions via webcam if you want to customize your learning experience and get more support on how to learn English. 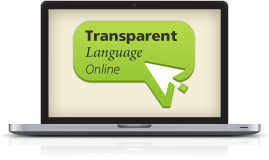 Transparent Language Online offers a learning experience that is delivered entirely through the internet. This offers a convenient way for many students to study, so long as they are online and have a reasonable internet connection. Transparent language offers “Essentials Courses,” which go through language fundamentals in 33 lessons, including vocabulary, reading, writing and speaking exercises. Learners can perfect their speaking skills by comparing their pronunciation to that of a native speaker. Transparent Language believes they offer one unique method for how to learn English effectively. They include a learning system that has a special feature called the Learned Items Refresh System. This means that if you are having trouble with certain things they will spend more time giving you items on those points and less items on things that you have mastered. Another unique feature for how to learn English is the Byki Vocabulary Builder, which has thousands of words divided into categories. This feature includes native speaker pronunciation that let you hear and compare you pronunciation of the word as well as see images, useful grammar and cultural tips. Additional features include, an online community, word of the day, language reference support (e.g., grammar, learning advice, learning videos) and more. Each of these learn English software options incorporates some of the leading technology and instruction methods on how to learn English through self-study or with additional support from a qualified teacher. My recommendation is that if you want to learn English with one of these companies, try it online before you buy. Each company offers this as an option. As I said in the beginning, one of the reasons that software does not always work well for students is that they fail to use it. Sometimes a structured class works well for students other times software is a more convenient and affordable option. Return to Resources page from learn English software section.